"Excellent view and great facilities." "Or to have breakfast with amazing view in front you." "The room is very clean and beautiful." 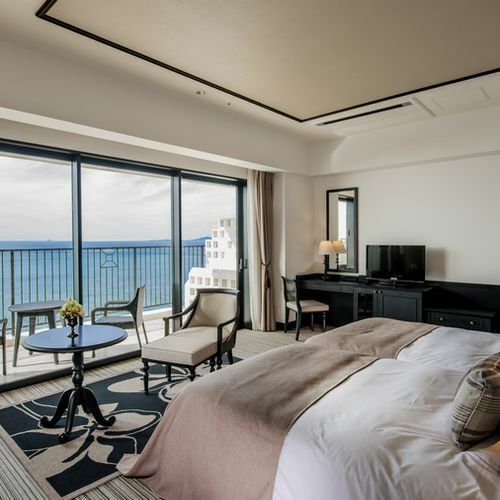 If what you're looking for is a conveniently located hotel in Okinawa, look no further than Hotel Monterey Okinawa Spa and Resort. From here, guests can enjoy easy access to all that the lively city has to offer. With its convenient location, the hotel offers easy access to the city's must-see destinations. 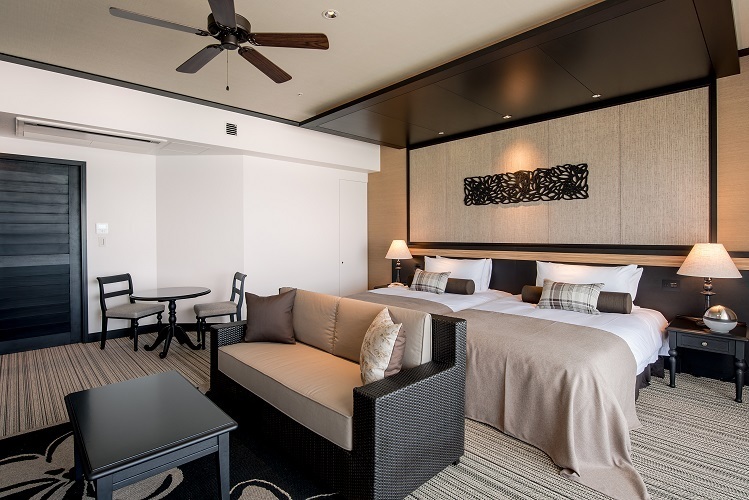 Offering hotel guests superior services and a broad range of amenities, Hotel Monterey Okinawa Spa and Resort is committed to ensuring that your stay is as comfortable as possible. 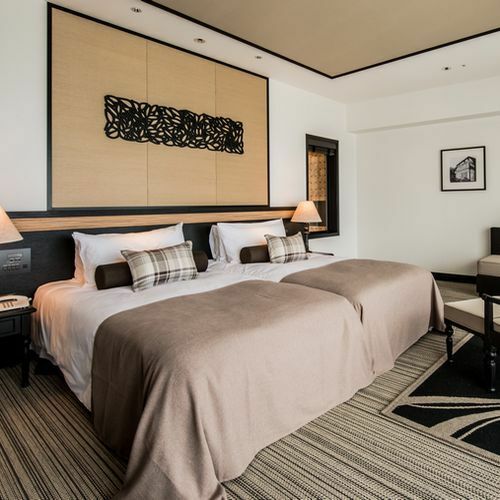 Top features of the hotel include free Wi-Fi in all rooms, 24-hour front desk, luggage storage, Wi-Fi in public areas, car park. 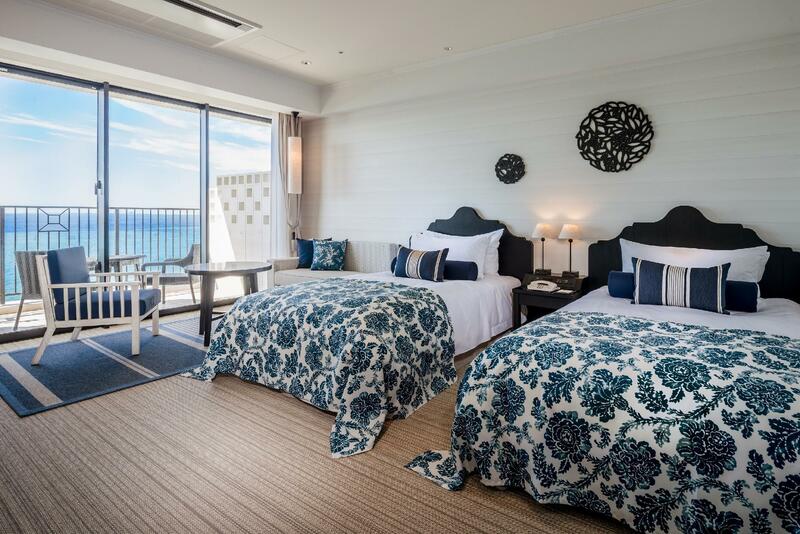 Hotel Monterey Okinawa Spa and Resort is home to 339 bedrooms. All are tastefully furnished and many even provide such comforts as television LCD/plasma screen, air purifier, humidifier, mirror, scale. The hotel offers an excellent variety of recreational facilities, including fitness center, sauna, hot spring bath, outdoor pool, indoor pool. 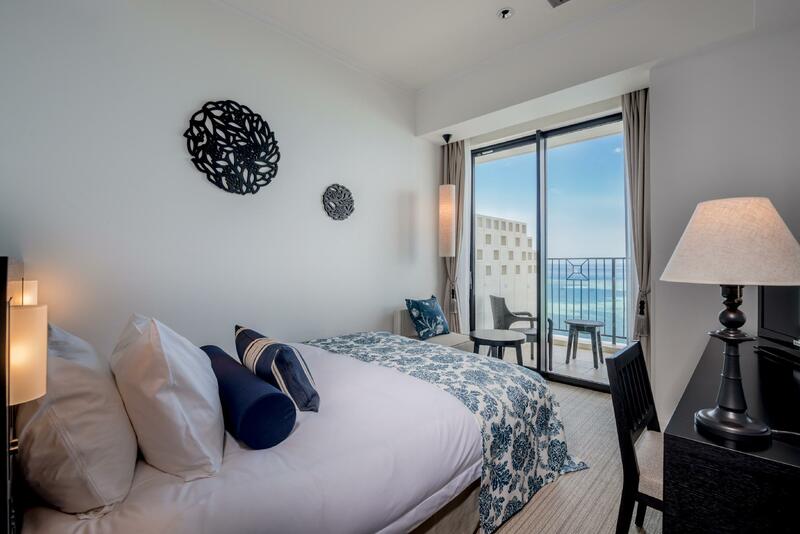 Whatever your purpose of visit, Hotel Monterey Okinawa Spa and Resort is an excellent choice for your stay in Okinawa. "Outside of hotel have several resteraunts Within walking dis..."
Baby cot is available at no additional charge for children aged 0 to 1. Double rooms cannot accommodate a baby cot. Early check-in is not possible. 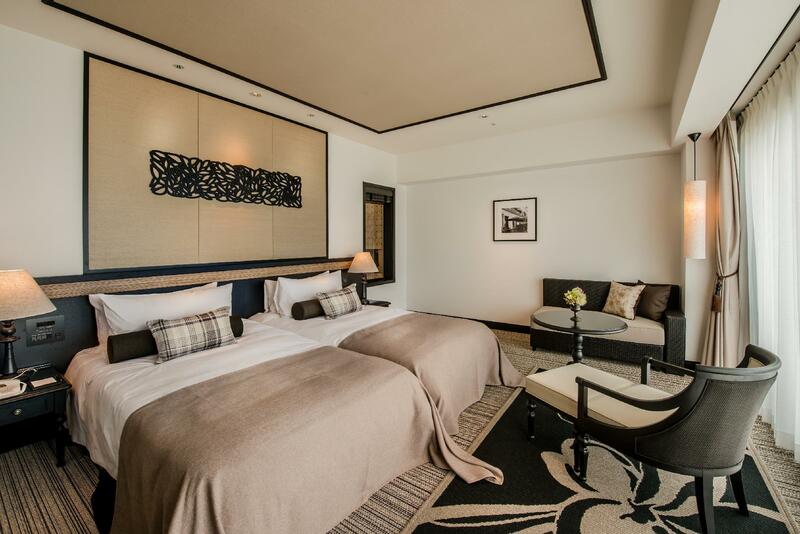 Guests may request adjoining rooms when booking rooms of the same type. Garden Pool is available from April to October from 09:00 AM to 04:00 PM. Guests are eligible to use Garden Pool at no additional charge. All electricity will be down due to electrical inspection on January 22, 2020 from 01:00 AM to 05:00 AM. All electricity will be down due to electrical inspection on January 29, 2020 from 01:00 AM to 05:00 AM. Love their bath tubs and complimentary bath salts, well stocked amenity kits (even had shaving cream for gents), awesome sea views from balcony, and ample couches for relaxing in room. Beds are comfortable too though slightly scratchy. The convenience store at level 1 was wonderful and opened till late. Love their activities hub and made a gel candle. 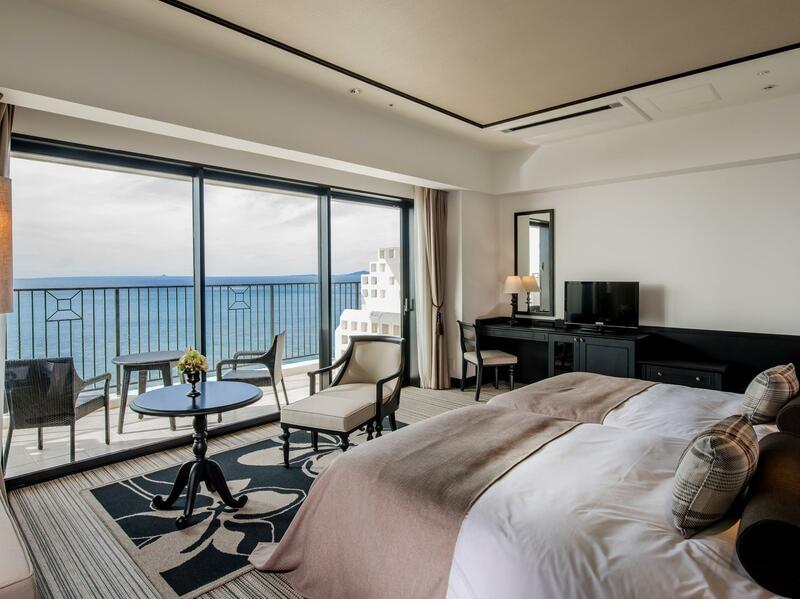 Thank you very much for using Hotel Monterey Okinawa Spa & Resort. Thank you very much for leaving us a review. We will continue to make every effort to meet your expectations by all the staff so that we can respond to your expectations from now on. We hope to use our hotel again next time. And We will wait for your continued use. Every nice room and very good lobby. Breakfast and buffet dinner were good value for what we paid for. We got an upgrade to a balcony room and we loved it. The staff is professional and helpful, but I think they can be a little friendlier (just a bit too professional and cold). 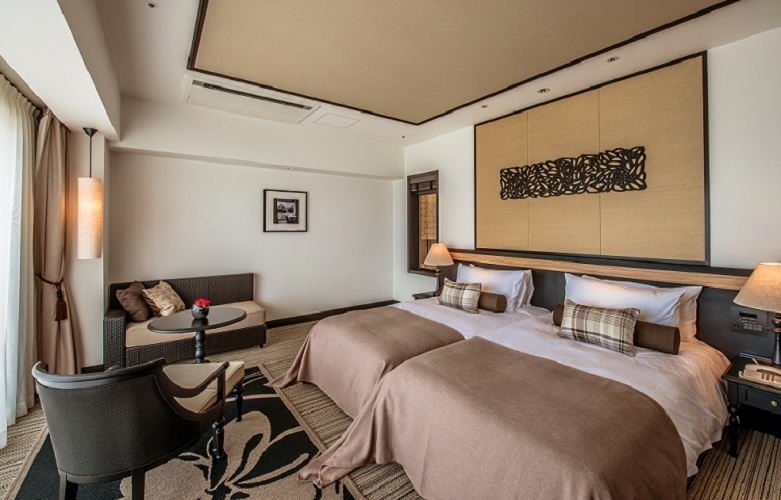 We stayed for two nights at the Hotel Monterey Okinawa Spa and Resort during the Christmas holidays. 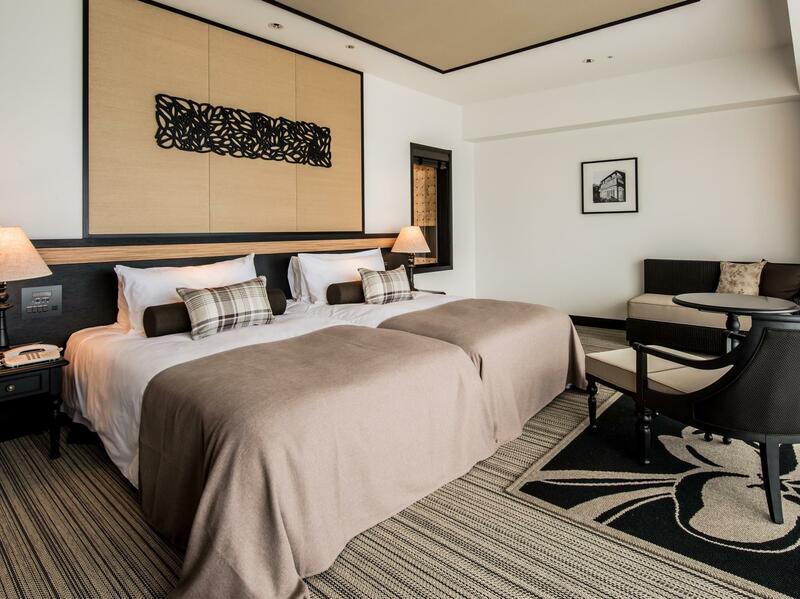 The resort is located in a quiet beach area away from the hassle and bustle of Naha. Our room was spacious and clean with a spectacular view of the ocean. The room came with breakfast and the hotel offered two options: buffet or Japanese. The buffet breakfast was good but the Japanese breakfast was one of the best dining experience we had in Okinawa. The staff, especially the parking staff, were friendly and helpful. We would highly recommend this resort to our friends and family! This is a beautiful newer hotel on the ocean. 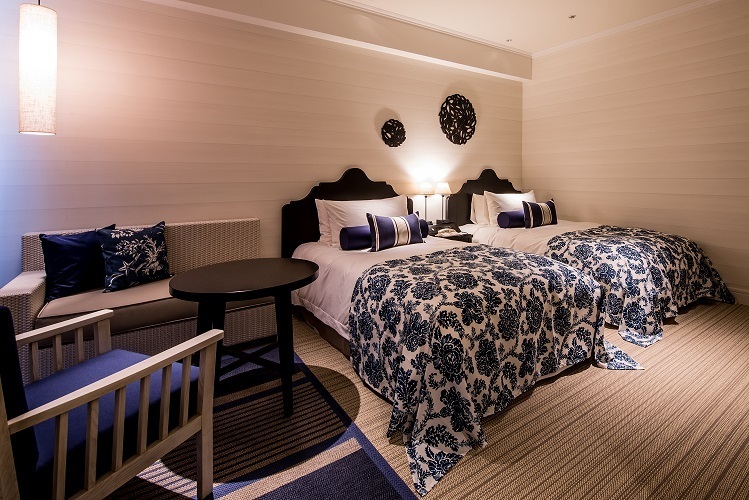 High quality amenities, spacious rooms and comfortable beds. Plenty of helpful friendly staff. The only downside is the shops, lounge/bar and restaurants all close by 10pm. So it is kinda boring in the evening. Not much to do here other than pool, ocean and gym. So I would recommend this place for summer visit but not in the winter as there isn’t much to do. Unless youre just looking for a nice place to rest or have a car to drive elsewhere, site seeing etc while staying. It’s my wedding trip and we booked this hotel for our guests. The chapel of our wedding is right next to the hotel. Excellent view and great facilities. Room rate is a bit high but it’s convenient for our guests. We thoroughly enjoyed our stay but some things are left to be desired. For one thing almost all of the TV channels are in Japanese, which is not very user-friendly. Starting in November it is no longer possible to swim in the hotel beach, which we find strange. The dinner buffet was a bit underwhelming so we didn’t take it. Plenty of good dining places nearby. Beautiful hotel with many facilities, private beach, gym etc. Location is good, many restaurants around. Breakfast is good and delicious, you can choose Japanese Set or Buffet. 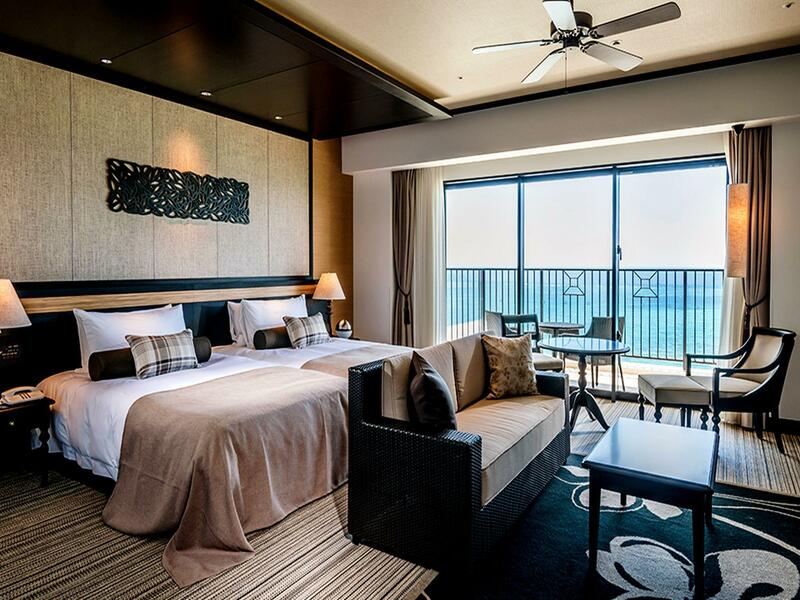 Room is tidy and clean, with perfect sea view. Despite going there in the winter, the resort met all our expectations!!! Magical setting, staff were so warm and accommodating! They even upgraded us for free to a luxury room which had the most romantic and relaxing atmosphere! Resort has a lot of facilities and restaurants, including a convenience store. There are many great restaurants right outside the hotel as well. They also have a beautiful seaside chapel in case you'd like to get married! I strongly suggest you do! The Hotel is very comfortable and amazing service! The Tiger beach club have many good programs! 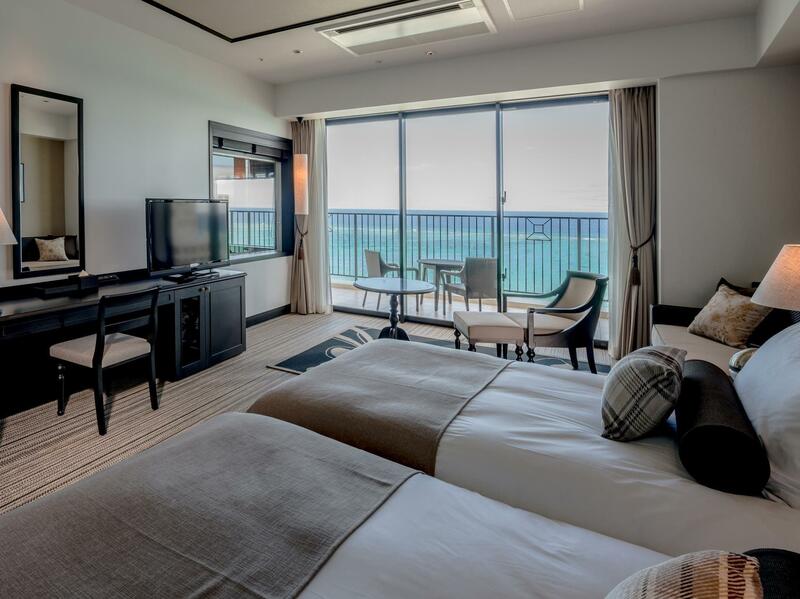 If you have child together, this hotel should be one of best choice in Okinawa, I will come back again in next years! Lovely place! The hotel is wonderful! 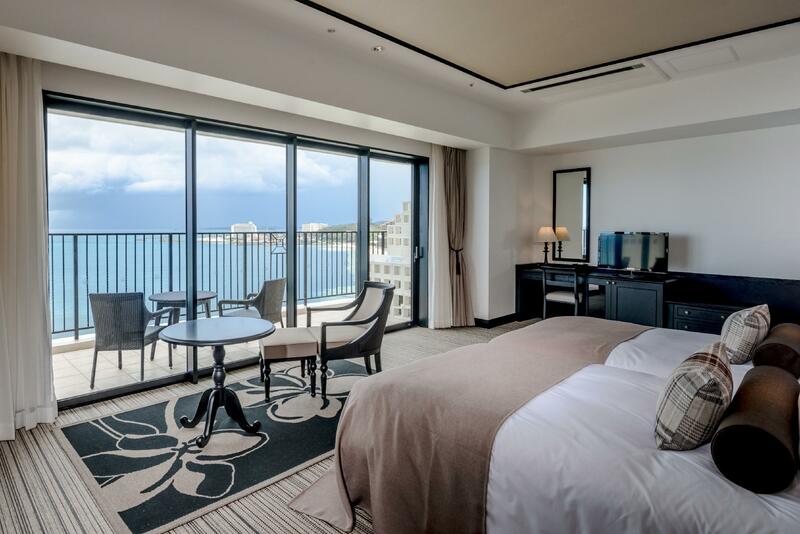 With the amazing tiger beach sea view, stylish room decoration, excellent facilities, and good location, it is no doubt the best hotel in Okinawa. Highly recommend to stay there at least two days! The hotel staff are all very kind and helpful. The room is very beautiful, clean and huge with nice sea view. Bathroom is nicely done up. Love the breakfast buffet spread. Lot of facilities in the hotel. Outside of hotel have several resteraunts Within walking distance, very convenient. The hotel have own beach to visit, although did have much chance to visit with strong wind. The facility in hotel is great; however guest still need to pay for some basic facilities (gym, pool, and hot spring). Overall, will still recommend this hotel to others. the hotel staff are all very kind and help me with question I had, such as diving programme and limousine bus. The room is very clean and beautiful. You get a sew view balcony where you could relax or go to the hotel beach. Or to have breakfast with amazing view in front you. The food they offer is also excellent. I had best Okinawa time at Hotel Monterey! 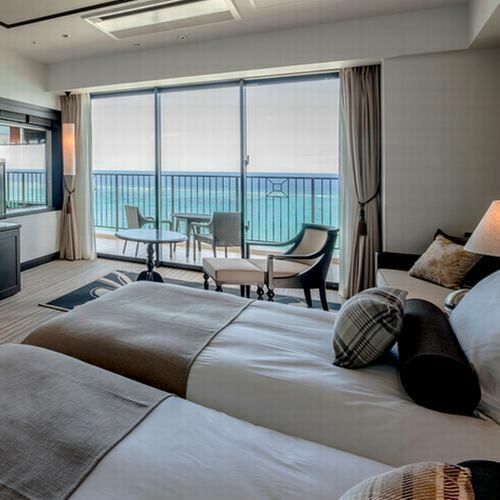 Would definitely book this hotel if visit Okinawa again! I went to this resort for my family trip! It is awsome! Very nice and neat hotel. 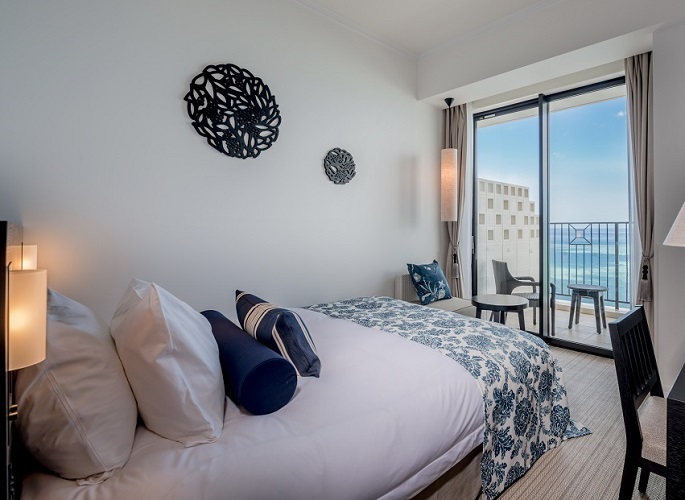 It was really nice to have a beautiful harbour view room. Very nice and neat hotel. It was really fantastic and beautiful harbour view. some good restaurants around here and nice ocean view and comport bed but expensive fee for spa. but totally i d like to visit again here.